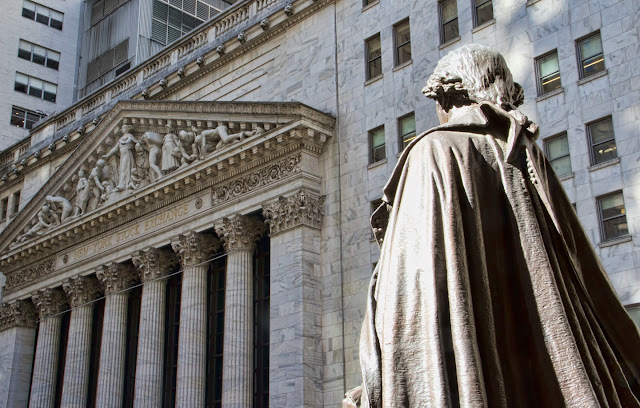 I like this view, taken behind the statue of Washington, looking across Wall Street to the New York Stock Exchange. I can only imagine how baffling he would find our modern financial systems -- I'm not sure anyone living now really understands them. At least when the nation's treasure consisted of bags of coins, you could only steal as much as you could carry.